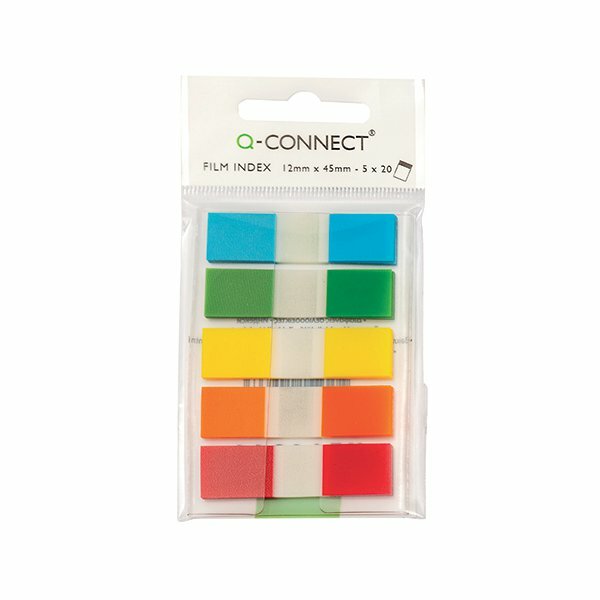 These Q-Connect brightly coloured page markers make it easy to mark your place. Each marker can be easily applied and re-applied without leaving any residue or damage on the page. The markers have a semi-transparent design, which allows you to colour code your notes without obscuring important text. These 12mm (1/2 inch) page markers come with a handy fan fold dispenser for easy use. 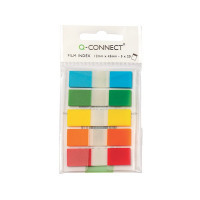 This pack contains 130 page markers in assorted colours (blue, red, yellow, green and orange).